People using motorized wheelchairs have largely been left in the dust by the ride-hail revolution. Now Uber and Lyft are set to start paying into a fund that will create California’s first wheelchair-accessible ride-hails — but the details of how that service will work have yet to be worked out. The California Public Utilities Commission, which regulates ride-hails in the state, will vote to begin its rulemaking process to implement a wheelchair-accessible ride-hail program on Thursday. “The devil will be in the details,” said Melissa Riess, a staff attorney with Disability Rights Advocates, a non-profit that filed a class action lawsuit a year ago against Uber for allegedly discriminating against wheelchair users by not providing vehicles they can ride in. SAN FRANCISCO (CBS SF) — A parking lot on the Embarcadero that sits within walking distance of luxury condos and just south of the Bay Bridge could be home to hundreds of homeless people under San Francisco Mayor London Breed’s new plan. The proposed waterfront site at Piers 30/32, currently owned by the Port of San Francisco, would feature a 200-bed navigation center, or short-term shelter. It would provide health and housing services, round the clock stays, and allow pets and partners. 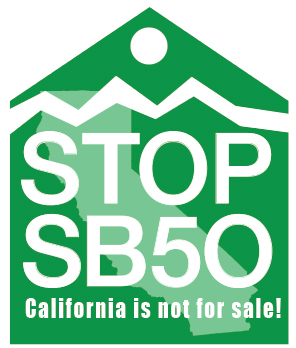 California Senate Bill 50 (SB-50) is designed to incentivize higher density housing development near major transit stops, major bus routes, and in “areas of high-opportunity close to jobs” throughout California. The Bill requires local governments to grant “equitable communities incentives” waiving certain local zoning rules for housing projects that include a minimum number of affordable units.1 It applies to all cities, including charter cities.